A country ballad that ushered in the 80s decried looking for love in all the wrong places. As the buzz machine ramps up after back-to-back announcements from Google letting the world know it is bestowing its gigabit largess upon Austin, Texas and Provo, Utah, gigabit envy is running rampant across the U.S. So rather than Mountain View, Calif., maybe communities should be looking closer to home for broadband love from mini-Googles. People often ask what Google gets out of building these networks. They forget that Google is in the online ad business as well as several other ventures that collectively generate more revenue as gigabit Web surfing increases. It’s likely a safe bet that Google is driven more by these businesses’ needs than the desire to be a national service provider. For now. 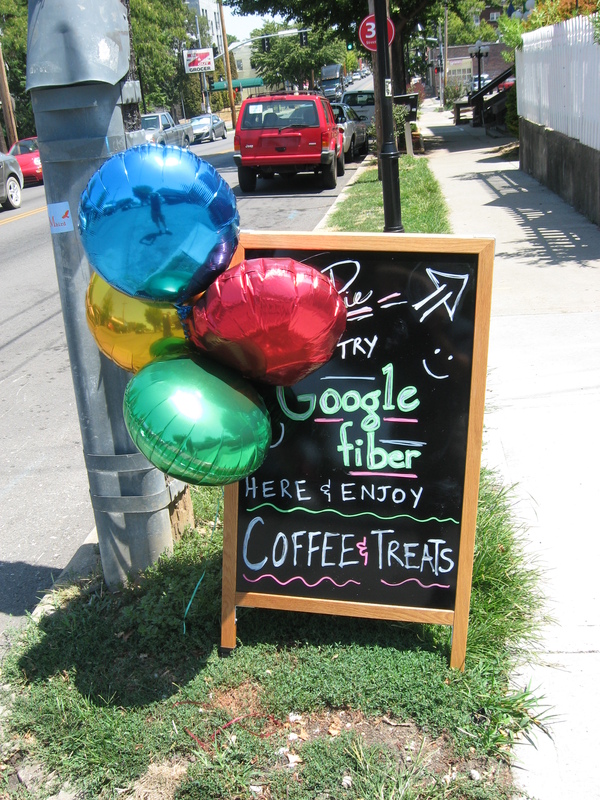 Rather than “What does Google get?” smart communities need to ask, “Are there other companies whose businesses would benefit from faster, better broadband? Companies that benefit to the point where investing in community networks make sound business sense? Maybe some of these potential “mini-Googles” are local. San Leandro, Calif. has its hometown Google, OSIsoft. Similar to Google, OSIsoft is a tech company that is building fiber infrastructure to bring gigabit service to a town that definitely wants and needs broadband. Broadband service is not OSIsoft’s core business. Yet, as a San Leandro-based company, OSIsoft benefits tremendously from delivering a gigabit to its neighbors as well as itself. A couple of years ago OSIsoft was in a bind. The $250 million company had been a member of the San Leandro community for over 30 years. Dr. Patrick Kennedy, OSIsoft’s founder and CEO, as well as many of his 800 employees live in the city. But the company needed a few hundred megabits faster broadband than the incumbents were willing to deliver to the town, and without it OSIsoft would have to move. OSIsoft and city government officials formed a public private partnership and got creative. As the result of an earlier transportation project, the city had available conduit around the town that it offered to the initiative. Bay Area Rapid Transit (BART), which has two stations in town, had extra dark fiber that it made available. Kennedy hired a contractor to pull 288 strands of fiber through the conduit, 28 of which were given to the City for its use. The end result of this effort was an 11-mile fiber ring around San Leandro that OSIsoft and other local businesses are using. San Leandro Dark Fiber LLC is the company Dr. Kennedy created to build out the infrastructure. Lit San Leandro is another company created to install the switch and routing facilities that light up the network for business subscribers. Cross Links System is a local ISP selected to provide Internet access and other services to businesses. The City currently is formulating plans for leveraging its share of the fiber to impact local economic development. Residential constituents currently are not served, but they likely will be considered during the economic development planning. What San Leandro has achieved is replicable in other communities. 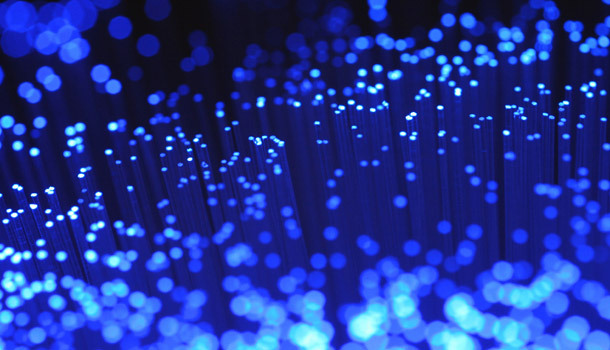 One good example is in upstate New York where Corning invested $10 million in a 235-mile fiber ring covering three counties. Corning’s business operations based in this area and its workers benefit directly from much needed broadband capacity, and indirectly by boosting the economic development of the communities around them. Since Corning produces fiber, this project delivers marketing value as a showcase for the power of the gigabit. Joe Crookham is a successful business owner in Muscatine County, Iowa whose Musca Lighting financed fiber buildouts for his and several surrounding communities. These services are sold to businesses and residences. Informally, Crookham has waved the community broadband flag at the state legislature. The key is to find a business or a group of businesses that are feeling the pain of not having sufficient broadband. According to Dr. Kennedy in a Gigabit Nation interview, “many urban areas are ‘copper towns,’ meaning the incumbents have built DSL or T1 lines that cover these communities’ residential users. But businesses and industrial parks need much more capacity than this as we see an explosion of data applications and cloud services. Incumbents generally see little value in serving these commercial operations.” Companies in technology, science and healthcare represent low-hanging fruit in alternative-funding partner searches. However, along with the promise of these mini-Googles, there is a significant caveat for communities. Even though many local governments and local economies are struggling for money, they must resist the urge to close a deal at any cost. Stakeholders must maintain control of the business of broadband, that process by which communities use the technology as a tool to improve economic development, transform education and expedite healthcare delivery. Owning this process, whether or not they own the physical infrastructure or services, is how communities reap significant broadband benefits. As the surging wave of gigabit initiative builds, we should expect to see a corresponding increase in creative public private partnerships. But the bottom line is that all negotiators of these deals should keep in mind that “private companies have to make money, and reinvesting in the public interest is always going to be a secondary concern,” states Forbes blogger McQuaid. Smart negotiating and planning, though, is how everyone wins. â€¢ City proposes its 4th utility: Fiber-To-The-Home-and-Business Network. â€¢ Local Government Fair Competition Act passed at urging of incumbent telecommunications and cable TV providers. â€¢ Incumbent providers file lawsuit. Citizens vote 62% – 38% to approve bond funding of system. â€¢ Louisiana Supreme Court rules in favor of LUS. â€¢ $110.4 million in bonds issued in July for LUS Fiber project. You’ll get action from the incumbents, mostly obstruction, but the public can become the winner. Google is not going to build in every city — and as was pointed out repeatedly at the Broadband Communities Summit last week in Dallas, municipalities that are not at least thinking about the need for fast, synchronous broadband are going to be seriously economically challenged in the next decade. High growth companies in almost every industry are now demanding access to broadband in the same breath as access to water and electricity. Public private partnerships like the one we have in San Leandro present an important tool in ensuring broadband access for our companies. I also agree with Craig that the public sector needs to do its homework before entering into negotiations with the private sector to create networks, as there is always a struggle between public sectors interests vs. the drive to create profitability. These partnerships should be focused on a triple bottom line approach — people, planet and profits.